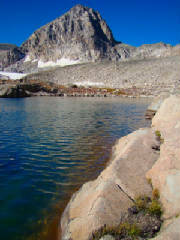 North Face of Mt. Toll Mt. 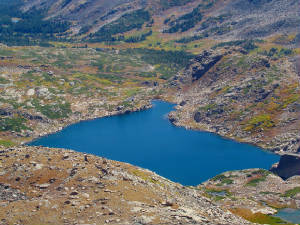 Toll from Little Blue Lake (center),View of Blue Lake from the top, where shot North Face was taken (right). North Face of Mt. 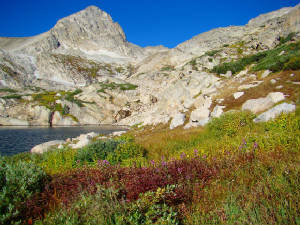 Toll in Indian Peaks Wilderness. There was no trail to get here. I was SO close to the continental divide, but the bouldering was too risky. The rocks were loose and the climb was about a 70 degree angle. I spent at least 30 minutes looking over the divide with binoc's...incredible view.